The bridge connects high-level urban streetscape in Salford with the low-lying parkland of Salford Meadows. The structure crosses a broad sweep in the River Irwell and the design mimics the meandering path of the river, crossing it with an S-shaped pathway. The sinuous curves elongate the deck to negotiate the pronounced level difference between abutments at a controlled gradient without the need for additional approach ramps. The fabricated steel bridge deck is structured by the provision of banked upstands along its concave edges which form a fluid sloping traffic surface. 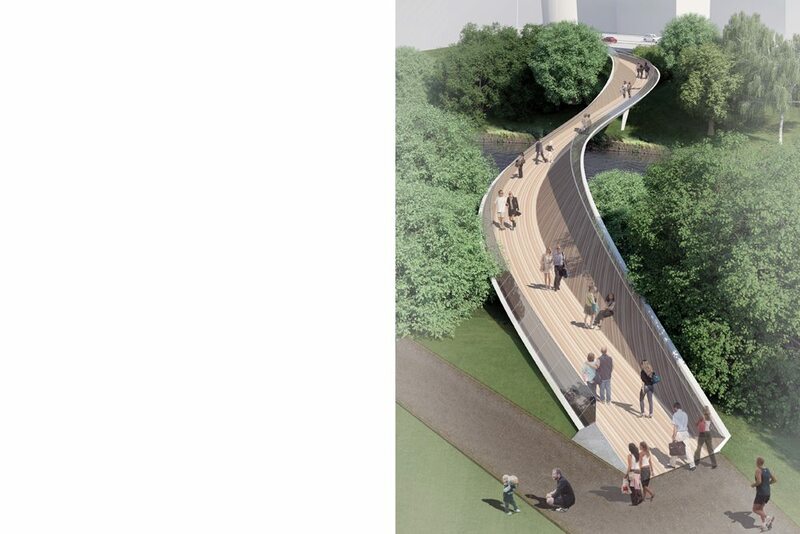 The bridge design is analogous to the river below, visibly referencing the erosion and deposition of opposing banks.